The holidays are celebrated differently around the world, but one thing remains constant. The food. There is always that one item that reminds us of the holidays. Food brings us together to celebrate with our friends and family. Read on to discover the signature holiday food items in countries around the world. 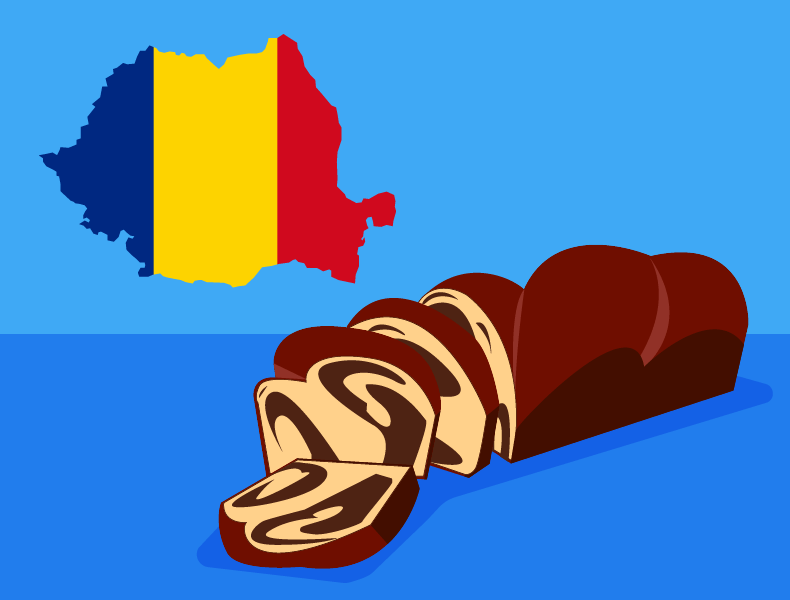 Citizens of Romania will recognize cozonac as a familiar holiday dish. This bread is made with raisins, walnuts, and sugar to make the bread sweet. Egg yolks are also necessary, but don’t throw out the whites – you can use them in another dish! In America, there are many dishes that are classified as holiday foods. Ham, turkey, cranberry sauce and fruitcake all grace holiday tables. The origins of these foods show that many different countries inspired the dishes that are consumed in the U.S. around the holiday season. Tamales are the star of Christmas dinner in Mexico. Each tamale takes time and effort to perfect and some households make dozens. Because of the amount of labor required, many families have started buying tamales in the store. Other families treasure the cooking process because it allows members to gather in one place. Whether homemade or store-bought, tamales are a special dish during the holidays. In France, one dessert reigns supreme during the holiday season. Galette des Rois, also known as King Cake, is more than just a delicious pastry. Family members gather around the cake as it is sliced and distributed. A small object is hidden inside the cake. This object is usually a bean, but there are many other objects that have made their way into the cakes. Whoever eats the piece of cake with the object in it gets to be king or queen of the day! A paper crown, which typically resides atop the cake, is given to the victor. The special holiday food from Spain is not out of the ordinary. Those observing this Spanish tradition may choose to eat 12 grapes on New Year’s Eve. All grapes must be eaten during the 12 chimes of the clock at midnight. If someone eats all of the grapes they are said to receive good luck for the whole year. Clock chimes are played on the television so that everyone knows how much time they have. Food brings us together with our friends and family. It doesn’t matter what you eat during the holidays, but who you eat with. Gather with the people you love and enjoy whatever food makes the holidays special for you. Maybe you can try one of these in your classroom this year and create a new tradition! Find out other ways to integrate food into a global celebration. Emma Shell is a marketing intern studying English and public relations. She is planning to complete the Masters of Teaching (MAT) program at the University of North Carolina at Chapel Hill. Emma believes that education is a tool to help students achieve their goals and make their dreams reality.